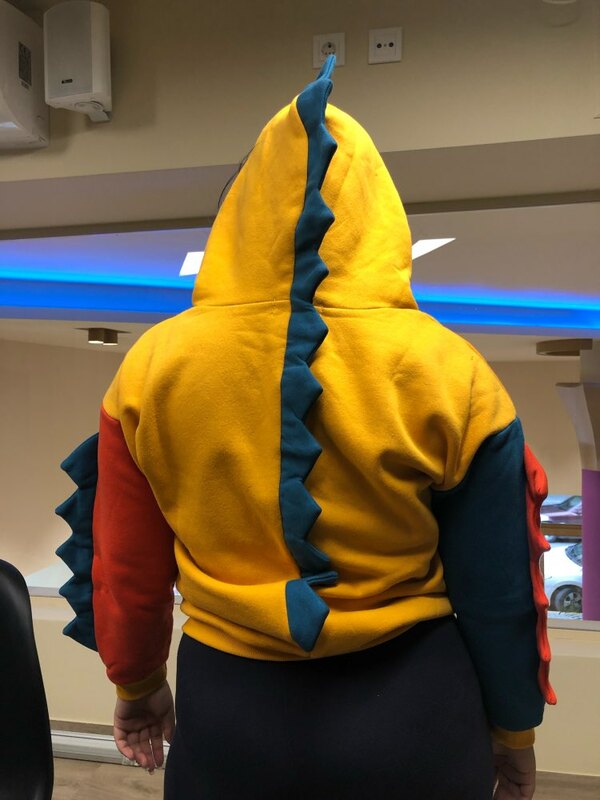 Our BTS Dinosaur Hoodie looks adorable and awesome! This hoodie provides 100% comfort and style. 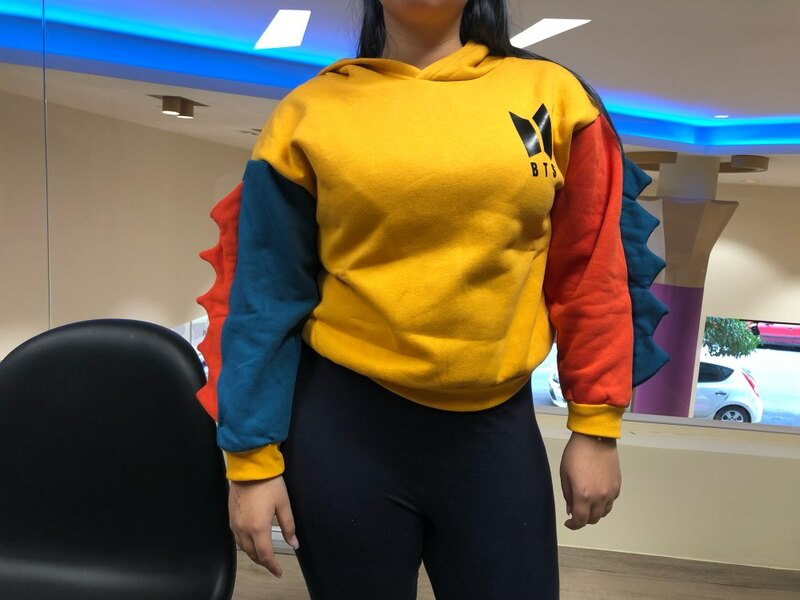 With this hoodie, you will look super cool and will feel a connection to BTS. This hoodie has a beautiful BTS logo on the chest. BTS fans will love this hoodie – buy for yourself or get one as a present for friends. Made of nature-friendly polyester and cotton blend fabric. This fabric is with enhanced washability, breathability, and water repellency. The fabric is very strong, durable, resistant to wrinkles, shrinking, abrasion, and mildew. Machine washable and easy to care for. To provide our hoodies with the safest care possible please don’t place them in the dryer, air dry only. It is very comfortable but extremely small perfect for a 1st grader maybe. Make sure you check the size before you order it and am I able to take it back?